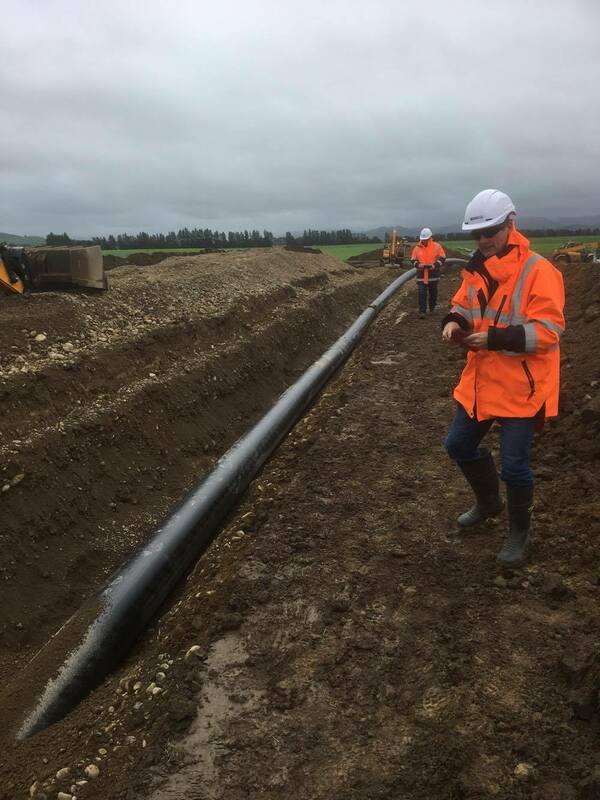 Amuri Irrigation Company (AIC) operated open channel systems to distribute water for irrigation from the Waiau and Hurunui rivers to its shareholders within the Amuri Basin command area. Shareholders received their water at zero pressure from an open channel network. AIC estimated the open channel network was subject to losses in the order of 30% through leakage and operational by wash, leading them to invest in upgrading to a pipe scheme. Inovo was engaged to provide project management and planning services to assist AIC in meeting their objectives. The first sod was turned on the project in September 2016. The design covered around 27,000 hectares; around 131 kilometres of pipe along five main pipelines, three from Waiau and two from Balmoral. The network includes 160 shareholder offtakes and crosses the Pahau River twice. The network allows for improved water management through greater utilisation of AIC’s full allocation of consented water. Control is also enhanced through more accurate water allocation and recording as all turnouts have a water meter installed.